A top municipal official in St. Paul, Alta., used the city's email system to solicit votes during the recent Conservative leadership race in a bid to ensure a local MLA remained in cabinet, a CBC News investigation has found. A top municipal official in St. Paul, Alta., used the city's email system to solicit votes during the Conservative leadership race in a bid to ensure a local MLA remained in cabinet, a CBC News investigation has found. Ron Boisvert, the town's chief administrative officer, also helped organize a golf tournament in June to raise campaign funds for MLA Ray Danyluk. Boisvert participated in the tournament at the town's expense, along with the mayor and two councillors. It's illegal in Alberta to use public money for partisan politics. Political observers say both incidents exemplify how ingrained "pork-barrel" politics has become in Alberta during 40 years of Tory rule. Pork-barrelling is a political term referring to government money used for projects designed to win votes. And, they say, these incidents illustrate the challenge faced by Premier Alison Redford in fulfilling her campaign promise of democratic reform. "If your MLA is on the government side of the house, your chance of getting funds goes up," said governance consultant George Cuff. "If your MLA becomes a provincial cabinet minister, your opportunity for getting close to the public trough goes up," he said. "Those kinds of things become factors in the decision-making process. Whether they should be or not, I can guarantee you they become that way over the years." CBC News obtained a Sept. 22 email authored by Boisvert. Using his official town email account and the town’s internal contacts list, Boisvert sent the email to councillors, the mayor, every [municipal] employee, county officials, local RCMP officers, business owners and several contractors who do business with the town. "Anybody can vote how they want, however, in order to keep Ray in a ministry position, either Horner or Redford have to get in as premier," Boisvert wrote. 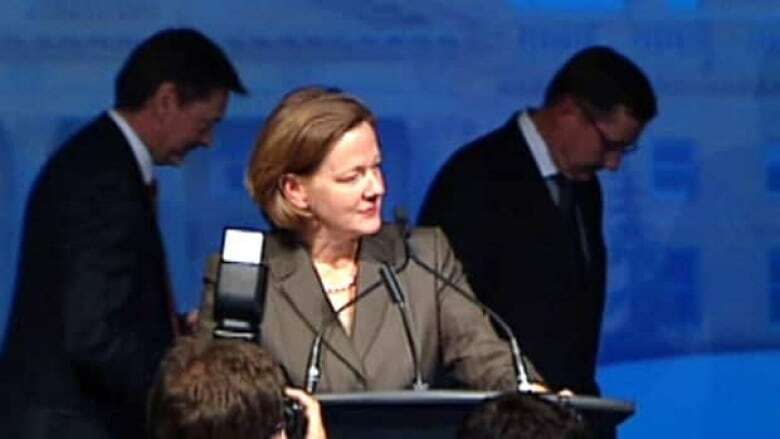 "Therefore, on the next ballot we would have to vote for either Horner as our #1 pick and Alison Redford as our #2 pick. "It is imperative for future funding that Ray remains in a powerful position," wrote Boisvert, who is also treasurer of the Lac La Biche – St. Paul PC Association. Association president Don Schultz said the riding delivered about 1,600 votes for Horner and about 1,400 votes for Redford in the first round of the final ballot. However, he said, in the second round votes for Redford and fellow contender Gary Mar were nearly equal. Boisvert did not respond to repeated CBC requests for an interview last week and is now away on holidays. University of Alberta political scientist Jim Lightbody, an expert in municipal politics, said the Boisvert email "reveals what normal business is for town officials in Alberta." "What happens is that you have this public ideology that creeps right through the province — particularly in rural areas — that it’s one party, one state, one common goal," Lightbody said. "This is about St. Paul but there are others doing the same thing across Alberta." The case is exceptional only in that it involves "a town official [who] sees nothing wrong with getting involved in partisan politics in a leadership race; sees nothing wrong with his abuse of public trust [in order] to direct employees of the town, and others who do business with the town, to vote in a certain way to ensure that their bagman comes home with the booty," said Lightbody. Cuff said the fact that Boisvert felt comfortable sending a blatantly partisan political message shows the line between his apolitical administrative duties and his partisan politics has been erased. Boisvert clearly breached his professional duty to remain apolitical and in doing so, he placed the town’s employees and the contractors who rely on the town for business in a difficult situation, he said. "It might make people question, 'Am I on board with my boss politically? And if I am not, I guess I keep my mouth shut because otherwise my own position may be somehow jeopardized,'" said Cuff, a former mayor, former president of the Alberta Urban Municipalities Association and a consultant on governance for more than 35 years. "That may be the unintended message and I am not saying [Boisvert] is intending to send that to his employees." Danyluk said he had no knowledge of the email and thought it inappropriate to use the town’s email to distribute it. 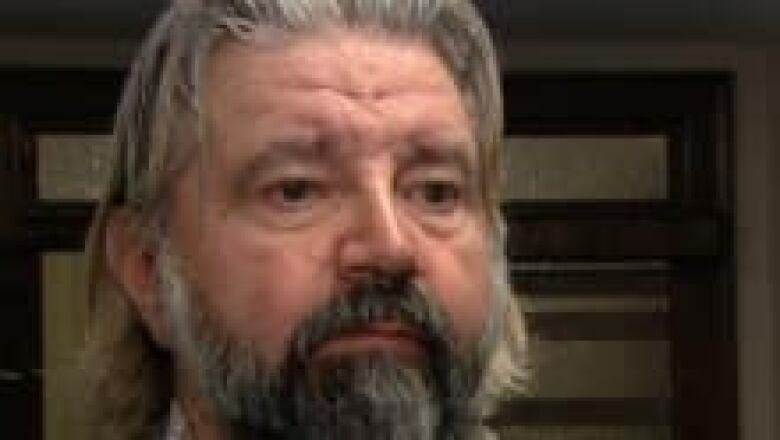 Danyluk acknowledged his role in obtaining $2.5 million in recent government funding for a new Wellness Centre in St. Paul, but said it was obtained through a normal grant-application process. 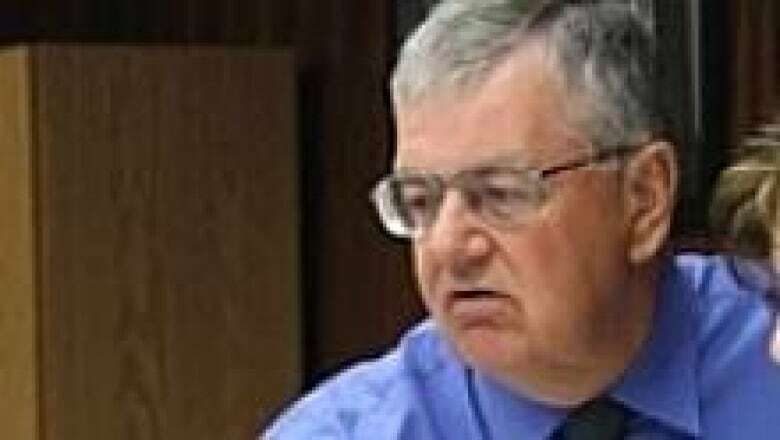 St. Paul Mayor Glenn Andersen said neither he nor any other councillor saw a problem with Boisvert using the town’s email for partisan politics. The town has no policy barring employees from using the town email account, he said. "It’s a decision he had to make himself," Andersen said, adding he believed Boisvert was speaking on behalf of the constituency association and not the town. Andersen also saw no problem with the town paying for him and his fellow councillors to attend a Tory fundraising golf tournament. In fact, the town provided documents to CBC News that show council publicly voted to attend the tournament and directed a $500 cheque to Boisvert, who managed the tournament’s finances. "It’s been going on forever," Andersen said of the town’s paid participation in the annual PC golf tournament fundraiser. "We’ve been doing it since before we had this administration." Danyluk also said he had no knowledge of St. Paul using public money for his fundraiser. "It’s not acceptable," he said. "It’s against the [Elections] Act." Cuff said he found it troubling this sort of email was distributed during a leadership campaign in which the party and every leadership candidate had stressed the need for democratic reform. It perfectly illustrates the depth of the challenge faced by Redford, he said. "I mean sometimes the hinterland believes the way politics was done in the past is the way politics is going to be done in the future," he said. "Quite frankly, it puts people at a real disadvantage. Should the municipality, in terms of the funding for its infrastructure, be disadvantaged because it happens to have an NDP or Liberal MLA? "To my mind, that is really a poor reflection on politics."